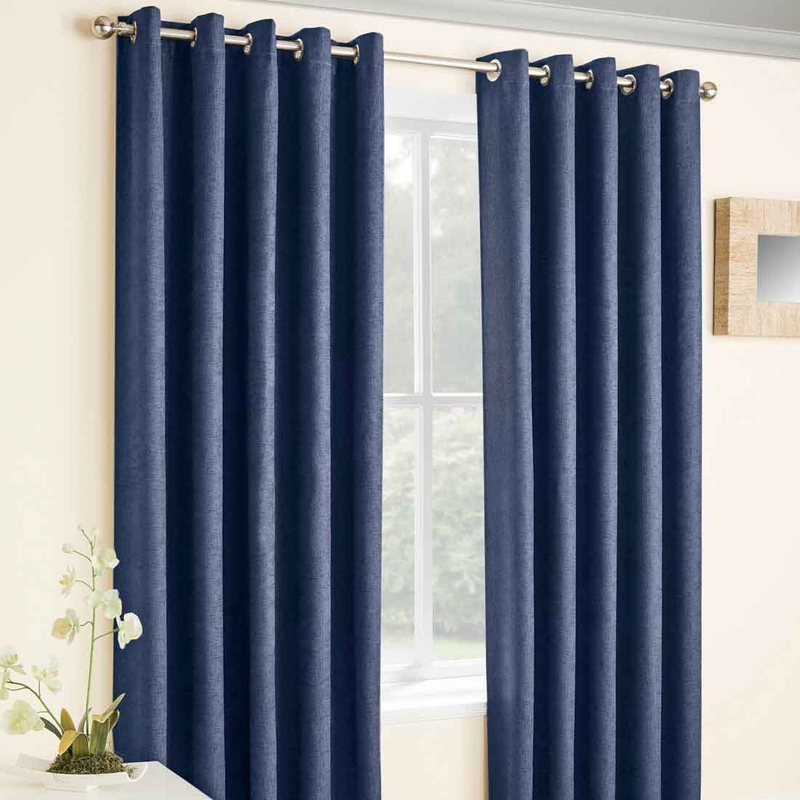 The Vogue Navy Blockout Eyelet Curtains come in a beautiful textured fabric that have a nautical feel to them. The deep navy adds a level of warmth to any room. So add a touch of warmth, class and colour to your home.These blockout thermal eyelet curtains will dim the light and help bring darkness and warmth to your room.